Kelowna First Aid is the leading training provider of cardiopulmonary resuscitation (CPR) and first aid in the Kelowna area. Since it was first established in 2010, it has remained the most popular provider among students in the area due to its low prices, great teachers and availability of courses. Certification provided through this workplace training centre meets all provincial and federal regulations. A wide range of courses are available including food safety, on-line safety training, re-certifications and stand-alone CPR courses. Register for first aid training in Kelowna by “clicking” the link below or by using the contact information available on this page. You can find a complete list of available training programs here, as well as an on-line registration form. 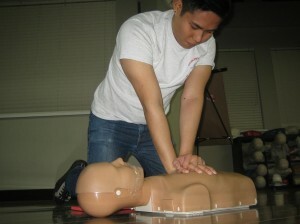 Register for First Aid Training in Kelowna, B.C. Kelowna First Aid wants to give students the easiest way to enrol so they provided an on-line registration form below. Prospective students can also complete their enrolment through e-mail, telephone call, or walk-ins during business hours in any of the training facilities in Kelowna. On-line safety training – participants that want to build their resume and meet workplace safety standards can enrol in fire safety, WHMIS, TDG and MSDS training programs that provide participants workplace desired certification. Courses can be completed on-line in a self study pace. Workplace approved first aid training – Occupational first aid (OFA level 1) training is available for participants that want to meet WorkSafe BC requirements for workplace first aid certification. Awards are valid for 3 years and valid throughout British Columbia. Standard, emergency and childcare first aid – These one and two-day courses meet provincial standards for many workplace and academic requirements. 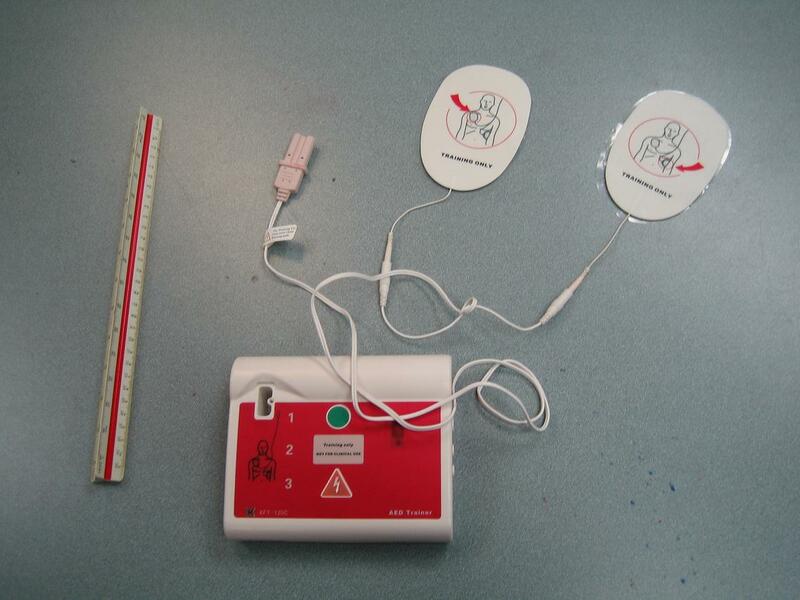 CPR and AED training are included in theses courses. CPR and AED ‘Only’ Courses – These short, half day courses teach participants the latest CPR and AED rescue techniques without any first aid training or certification. Certificates provided to participants are valid for 3 years. 3 level’s are available: ‘A’, ‘C’ and ‘HCP’. Kelowna First Aid awards the St Mark James training certificates after the completion of the training program. 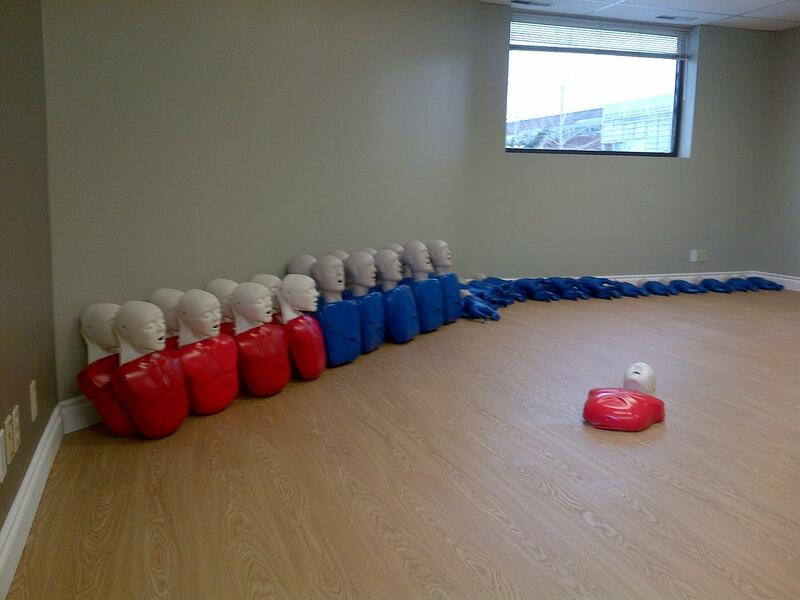 The certificates are valid for three years and can be renewed through refresher programs held twice a week at Kelowna First Aid. Kelowna First Aid has several training facilities in the area, all easily accessible by public and private transportation. Restaurants, shops, and free parking are within walking distance of the training facility. While iron-deficiency anemia is easily managed with diet modification and iron supplements, if left untreated, dangerous complications can arise. Cardiac problems – Because the body detects that the tissues and organs aren’t getting enough oxygen, the heart will compensate by pumping more blood throughout the body. This puts stress on the heart which can cause problems such as cardiomegaly or heart failure. Pregnancy problems – Studies have shown that lack of iron can lead premature births and low birth weight babies. Growth problems – IDA in children can lead to delayed growth and development and make them at risk for infection.